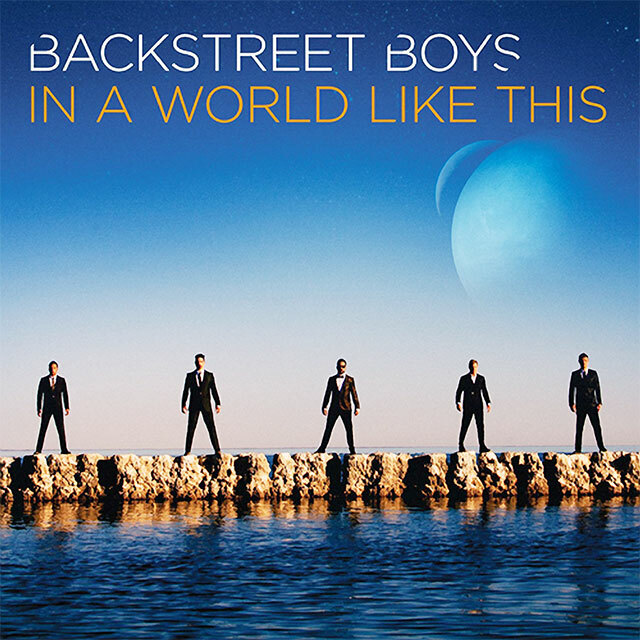 Backstreet Boys – In a World Like This – Album Review!!! The boys have finally released their follow-up to the 2009 “This Is Us” after a long wait. And this time with the fifth original member, Kevin Richardson back in the group. The group is a perfect package with all sorts of voices that a group would need: Nick – the perfect disc voice; AJ – the rock star voice; Brian – One of the most beautiful male voice singer voice that I have heard (I’m not just saying that and yes I have heard a lot of artists, before anyone says that “this guy knows nothing”); Howie – A voice which doesn’t require any auto-tune and still sounds as if it’s on auto-tune even when he is talking; and then the voice that just came back to where it belongs, Kevin – The soothing one, and when these voices come together as one to sing a chorus, leaves people speechless. The album came out on the 30th of this past month (July), with various songs released on different web sites as the album release date approached closer. The album starts off with the already quiet popular title track “In a World Like This” which is an upbeat song about being able to find and hold on to true love in world where we live in today. Then comes “Permanent Stain” which was released as a promotional single about a month ago, which again is an upbeat song with a lively music, maintaining the pace and effect till the end. Then comes one of my personal favorites from the album “Breathe“. It is a beautiful song with beautiful music with a slow tempo and off course beautiful singing by the quintet. Next is “Madeleine“, which is a motivational song to rise up against all the odds and be strong when you feel all is lost and gone. Really beautiful lyrics to motivate someone to get back up after whatever sort of fall one has suffered. Follows one of my clear favorites from the album “Show ‘Em (What You’re Made of)“. One just can’t resist oneself from banging his/her head to the beats of the song. Gives a flavor of OneRepublic sort of music but then the singing shouts loud that “Backstreet’s Back”!!! Then there are songs like “Make Believe“, Try“, “Trust Me“, which are wonderful examples of how with beautiful and meaningful lyrics a song would be way better than the “popular” songs that get most of the hype these days. To highlight the song “Try“, its a beautiful one man show for AJ McLean, who has sung the entire song with the boys joining in for the chorus. Next is “Love Somebody” which I found a bit on a lower level than the rest of songs that precede it. “One Phone Call” is a perfect boy band song. “Feels Like Home” is a song boasting about the boys being around for over 20 years now and touring around the world for their fans so many times that every other country and city feels like home to them. “Soldier” is another song which I felt that starts off pretty well, but the chorus tune could’ve been more catchier. The album ends with a nice pop and peppy song talking about leaving a “Light On” for the loved one. Well, I have always said this and would say it again, I would be a really bad choice to review a Backstreet Boys album. To me album is beautiful. Their last album “This Is Us” was good but didn’t live up to the Backstreet standards somehow. The album that was released before it “Unbreakable” was another beautiful album. But I can safely say that “In a World Like This” is better than Unbreakable at some level. I would give “In a World Like This” an easy 4.5 stars out of 5. And that’s not just because it’s a Backstreet Boys album. So… What do you feel??? 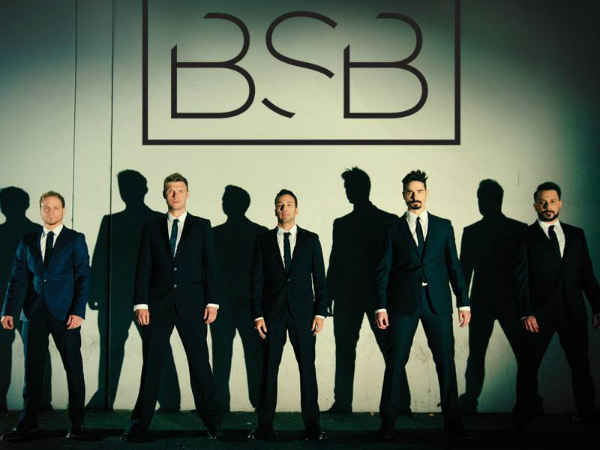 The Backstreet Boys released their brand new title track from their upcoming album “In a World Like This”, named the same on the 3rd of July, and now have released the official video for the amazing song. “In a world like this where some back down…I, know we’re gonna make it…In a time like this where love comes ’round…I, know we gotta take it…In a world like this where people fall apart…In a time like this where nothing comes from the heart…In a world like this, I’ve got you”. The video shows the boys singing in a background similar to the one that was shot in their single from “Unbreakable” named “Helpless when She Smiles”, with three couples (old couple, straight and gay couple) shown simultaneously, finding love in the tough world that we live in. The video is without a doubt, beautiful. The album comes out on the 30th of July worldwide. So do you feel that the Backstreet’s back??? Backstreets Back with a “Permanent Stain” pretty Permanent! Every blog posting about these guys have been writing this particular line and I am not gonna hold back coz nothing else suits better… “BACKSTREET’S BACK ALRIGHT!! !” Ahh… now I can work peacefully! How did you like the single??? The single would be out for free download for the fans who purchase the tickets to the “In a World Like This Tour” starting 20th May. The 8th studio album of the boys is titled “In A World Like This” and would be coming out on the 30th of July worldwide. I can’t wait to listen to the album and review it! Steve Carell is “Seeking a Friend for the End of the World”!!! If you ever came to know that the world was actually coming to an end and was going to get hit by gigantic asteroids, what would be the list of things that you would wanna do? Being a guy… I know what I would wanna do! Well, there are many naughty stuffs that are popping up in my mind right now, and am quite sure that many others around the world would wanna do the same stuffs… guys and girls alike… off course… depends in the way it should (no offences meant to any one… PLEASE!). 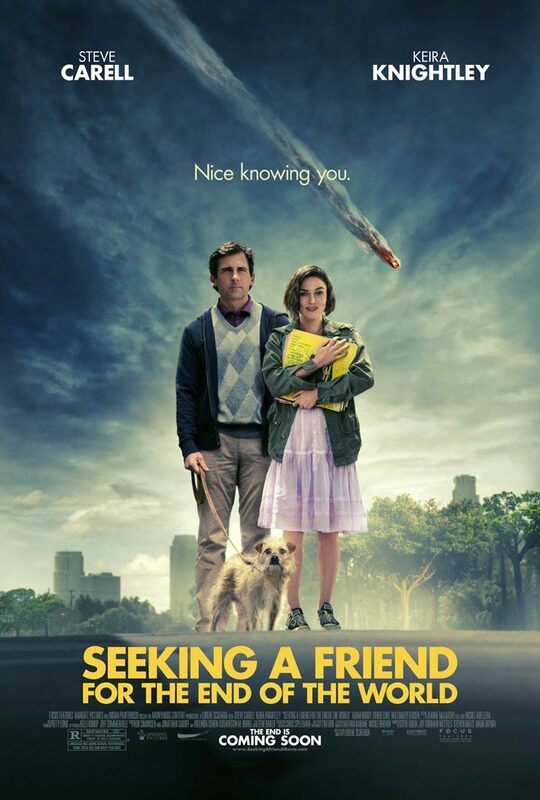 Well, the lonely after his wife leaving him, Dodge (Steve Carell) on coming to know about the end of the world, apparently sets out on a road trip to look for his high school girlfriend. But even before meeting the hurdle of the asteroids, he ends up meeting the hurdle in the form of his neighbor Keira Knightley (Penny), who joins him on the road trip. The trailer had quite nice and funny dialogs to display from the movie and looking at those, I am expecting a laughter ride when the entire movie hits the big screens! The movie will be coming out this November (2012). I don’t know why, but I have a feeling that the movie is going to have an anti-climax! All we can do is just wait and watch…thats all! I surely will be giving this movie a hit… would you? 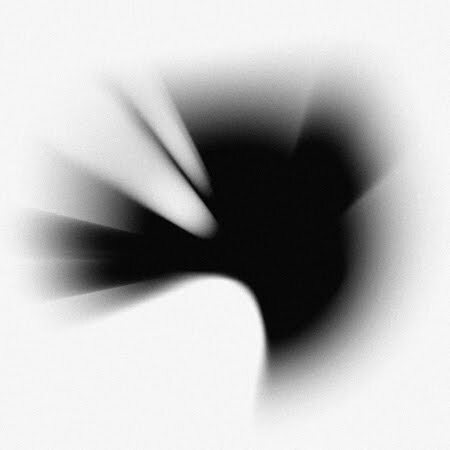 Linkin Park – A Thousand Suns (Late Review) !!! I know that it has been pretty while since the album got out, but I just wanted to do this… so here it is! The album got lots and lots of criticisms from many fans and critics, but in my opinion, the new album just ROCKS! It shows an entirely new side of Linkin Park! The style of songs is completely different… or should I say that LP has gotten a lot serious! Some of the songs make them sound like a boy band and some others seem as if they are singing a Coldplay song. The album starts with the song named “The Requiem”, which is the intro to the album and is totally superb. Then comes “The Radiance”, which has a dialogue, describing how the world would change because of everything that is going around, giving a serious start to the album. Next is the song, which is actually a song afer two short tracks, named “Burning In The Skies”. It is an okay sort of song, not all that great. Then is “Empty Spaces”… I seriously don’t know why they added it in the album. They could have actually left it ’empty’. The next song is “When They Come For Me”… Awesome electric guitar effect, the rap by Shinoda is great, but the music could have been better. The beats seem like an Indian “bhangra” song’s beats. The song becomes really great towards the end as Chester begins to sing. Next song “Robot Boy”. This song onwards the album begins to soar higher and higher. The song has really good music and beats. This is the song where I felt as if LP has turned into a boy band as almost the entire song has being sung in chorus. But, it does sound good. Next is “Jornada Del Muerto”, which is spanish for “single day’s journey of the dead man”, it’s just plain running music, which continues and goes forward to the second single from the album “Waiting For The End”. Another typical LP kinda song! Its good, and the video for the song is really an innovative style, constellations joining to form the band members. Then comes “Blackout”. Ummm… I’ve got a mixed feeling for this song. It has the old Linkin Park style, and even a new digital sound, with redundant scratches and dj effects. Those effects do sound good, but maybe LP would consider the song out of live shows just because of it. Next up… my personal favorite “Wrectches And Kings”. I just loved the song. Awesome rap, awesomer singing, and even more awesome music! The scratches towards the end sends chills down the spine! Love it! “Wisdom, Justice, And Love”… one word, SPOOKY! They could’ve avoided it. “Iridescent” is a fine song! Nothing bad about it, but not even anything extra ordinary. “Fallout” is a digitally voiced version of the song “Catalyst”. Nothing much to say about it. Then comes the next song, which was released as the first single from the album “The Catalyst”. Another ‘not an LP’ kind of song! But at the same time, it is a really good song. The last song of the album “The Messenger” is a ‘one man show’ song by Chester! The song shows how he has been able to maintain the quality of singing and improve it over the years! All in all, I would give the album a 3.5/5 stars! I just wanted to keep my thoughts about the album in front of you all! And so.. Thats it! Here are the first two singles from the album. The videos are great! Especially the second single “Waiting For The End”. So??? What are your thoughts??? New Relapse Songs And Video!!! Ah!! Man! It feels good to be back blogging after a month! And sorry people but had to do some really important job! Now its over so I’m back! OK! I know that this is a week old news now, but just couldn’t keep from posting this!! 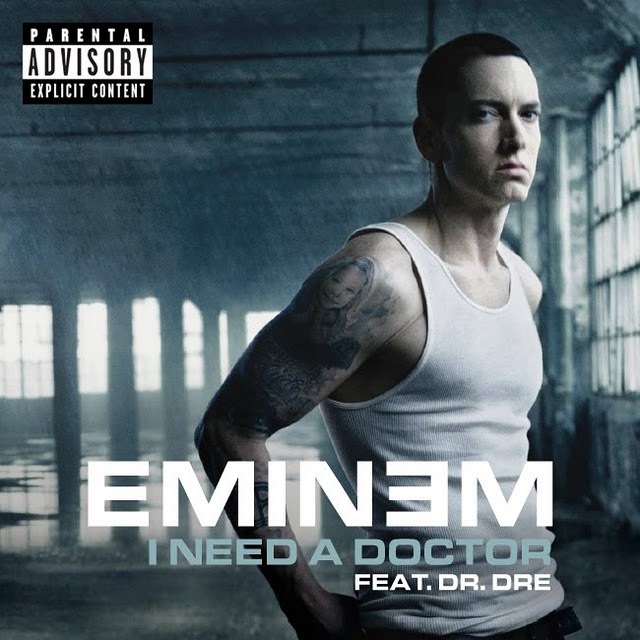 Two new songs from Eminem’s new album “Relapse” have been released online and I found them quite good! And the song named “Crack a bottle” has got 50 Cents and Dr. Dre featuring in it! And what more? 3 A.M. has also been released as a video single. This is the second video after “We Made You”. So did you like em?